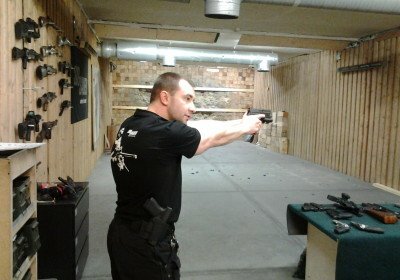 Package includes 101 shots from 7 different guns! Have your own hero moment with the best of classics in the world of shooting. 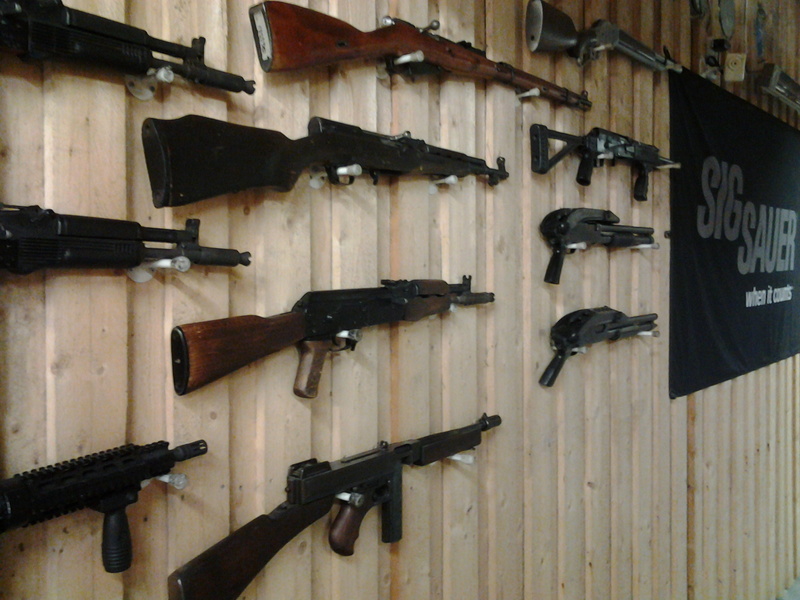 A vast selection of popular firearms, both big and small are waiting for you. 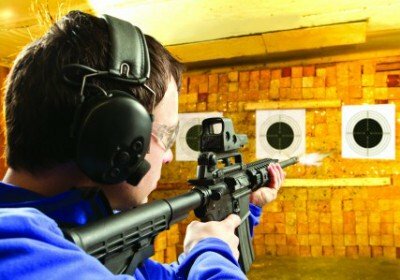 Try various shooting styles and enjoy the roaring bang and smell of burning gunpowder in one of the Europe’s best equipped shooting ranges. 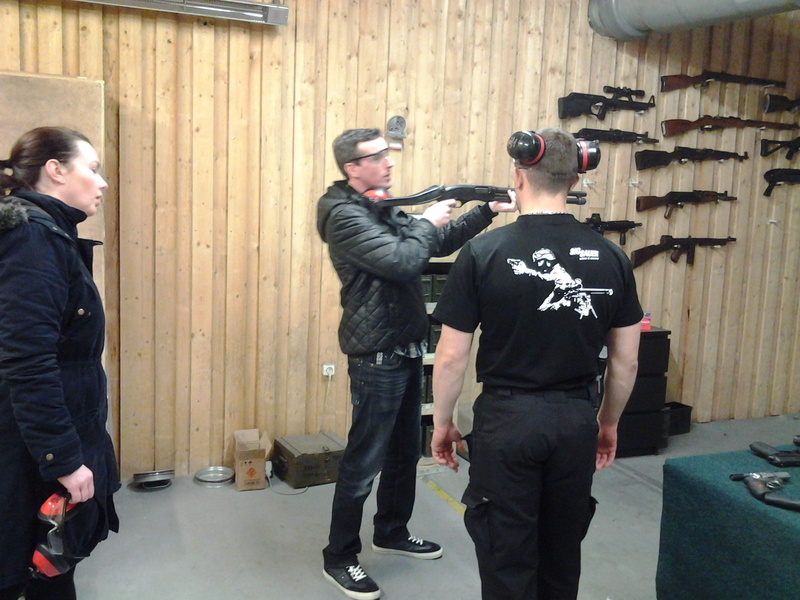 This premium package offers excellent value for your money if you are looking for a truly awesome shooting experience. 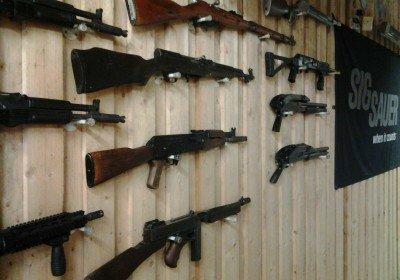 Our professional indoor shooting range gives you the rare opportunity to handle the best selection of the worlds most popular weapons. 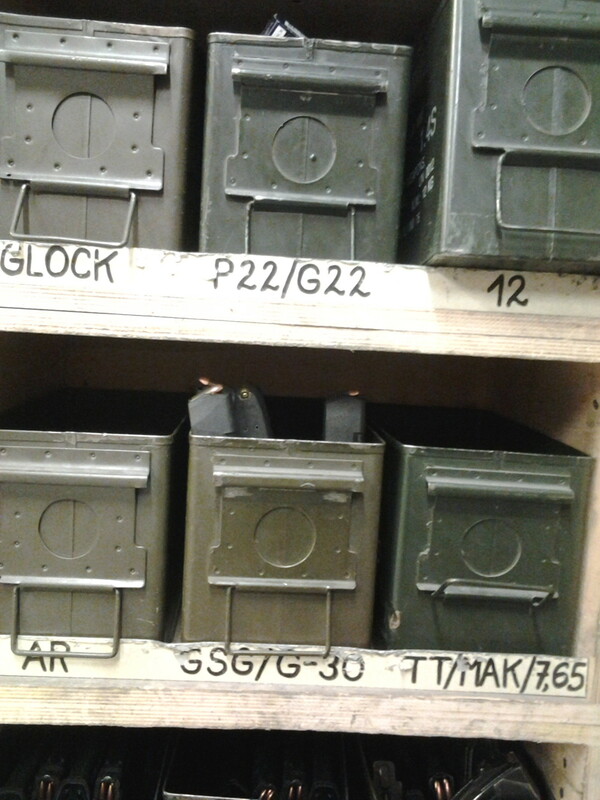 Shooting these big boys’ toys gives you the sensation of being in an action movie – as you aim and pull the trigger, the flash and roaring bang deafens the silence followed by the bitter smell of burnt gunpowder. Your health and safety is a prime consideration as you are supplied with protective glasses and hearing protection headsets. Now, under the watchful eye of a qualified instructor you get to shoot these powerful firearms and experience many different shooting styles. Starting with a warm-up round, firing one of the all times favorites of legendary secret agent pistol Ruger. 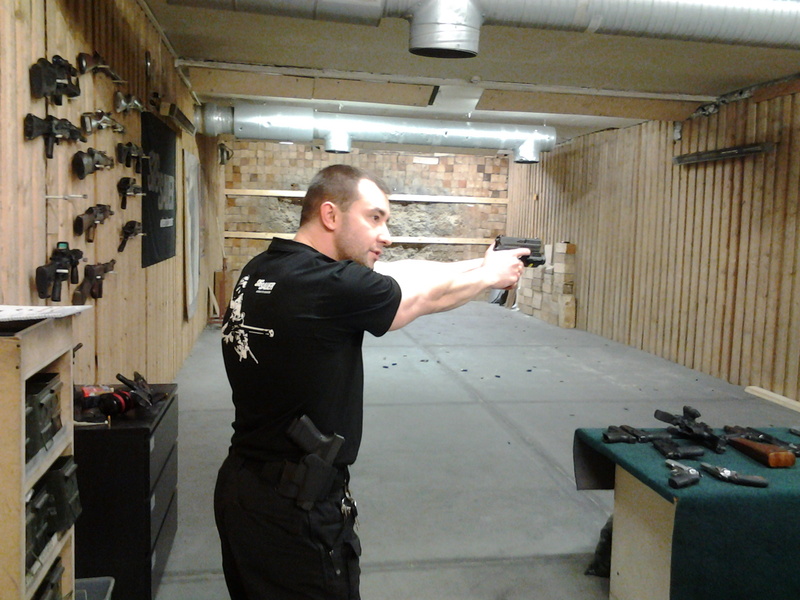 You then progress to the pistol Glock 17, this trusty weapon is often preferred for self defense purposes and is also widely used by the armed forces of many countries. Moving on to the weapon used by many armies today, the M4 – this true American war gun with holographic sight makes it easy to hit your target with great precision. 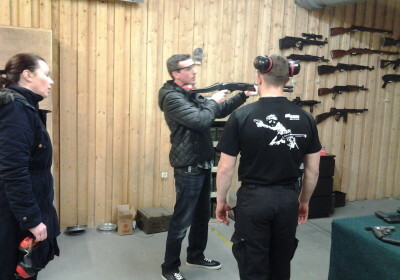 This gun is designed for hitting a small target from a great distance. 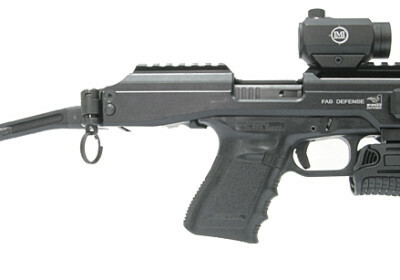 Your next gun is the weapon of choice for SWAT teams – the Glock Carabine. Its tactical light allows you to experience the sensation of combat in dark surroundings. Revive that classic combat feeling by firing a full magasine, at hip level, from the legendary assault rifle, the AK47 aka Kalashnikov, the Soviet soldiers best friend. 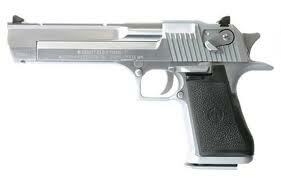 The cult gun of todays superheroes is the Desert Eagle .50. This sidearm is the most powerful pistol in the world and can literally knock you off your feet. 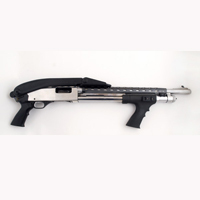 To top off your experience, feel the awesome power of yet another action movie hero favorite, the pump-action shotgun better known as the Roomcleaner. With this weapon, there is no fear of missing your target as the bullets spread and are certain to find their mark. CAUTION ! 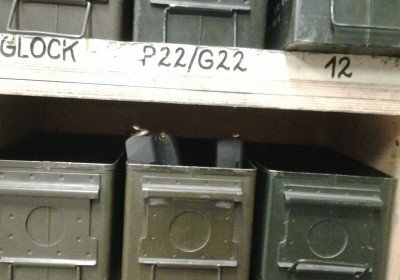 After experiencing the fire power of shooting all these rounds from the worlds most awesome weapons, it may take awhile to get your adrenaline levels back to normal.